Mariam Shakir - Fanning Harper Martinson Brandt & Kutchin, P.C. - Fanning Harper Martinson Brandt & Kutchin, P.C. 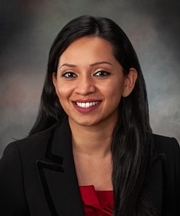 Mariam Shakir is a member of the Texas and New York state bars. Her practice has primarily focused on insurance defense litigation and defense of municipalities for matters involving premises liability and alleged police misconduct. Mariam has handled cases in both federal and state courts and has also practiced in the area of matrimonial law. After joining FHMBK, Mariam’s practice is focused on insurance coverage.